Looking to get a super smooth surface for your paint? 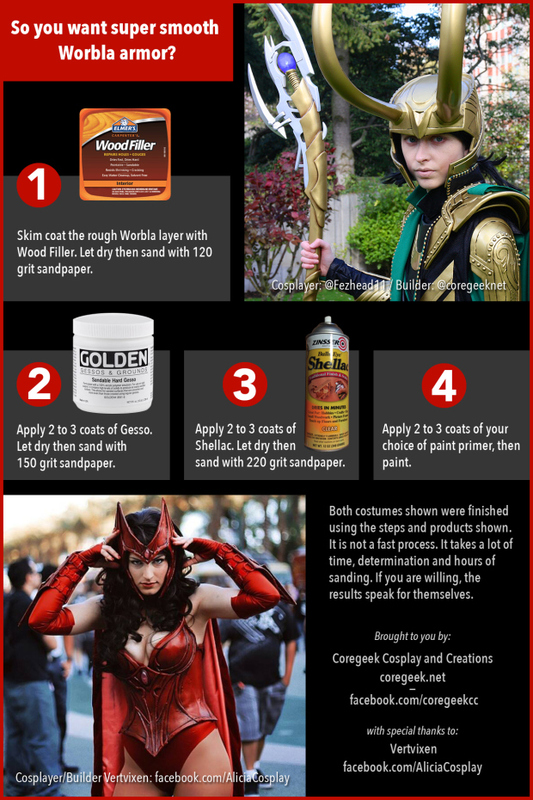 Coregeek Cosplay and Creations created this helpful graphic to show you how. This isn’t the only way to get a smooth surface, but it hands down the best, smoothest surface we’ve seen!